Marigny, also known as Faubourg Marigny is a neighborhood in New Orleans. Its nickname is simple "The Marigny." It spans from St. Claude Avenue on the north to the Mississippi River to the south and from the Esplanade Avenue on the west to Press Street on the east. Neighborhoods adjacent to Marigny include St. Roch, the French Quarter, Bywater and more. Marigny is considered one of the centers for Mardi Gras efforts in New Orleans. It is just downriver from the French Quarter, and it was once New Orleans second suburb before becoming a part of the city itself. 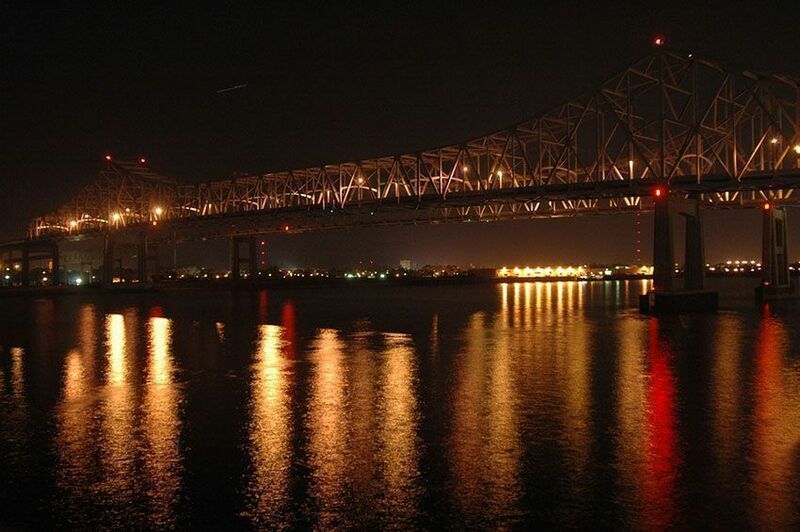 It is a lively neighborhood featuring great food, great music and authentic New Orleans charms and atmosphere. It has many historic properties which have been renovated and converted into gardens, apartments, and condominiums jazz clubs and more. It is an artistic, foreign-born friendly, free-spirited cosmopolitan neighborhood, where more than 6% of all foreign-born. Faubourg Marigny was laid out in from 1800-1810. Bernard de Marigny developed it on lands that had belonged to his family. The area closest to the river was developed. First, this area is sometimes known as Old Marigny. During its early history in the 1800s, it was known as the Third Municipality of New Orleans. The portions of the neighborhood away from the river were developed later and are sometimes referred to as New Marigny. Elysian Avenue was designed to be the main street in Faubourg. It was the first and remains one of the few roads that run from the riverfront all the way to Lake Pontchartrain. The Pontchartrain Railroad came through the growing suburb in about 1830 spurring growth in the area. However, in the 20th century, the neighborhood experienced a decline. Today it is one of the city's more colorful and vibrant neighborhoods. The neighborhood spans .329 square miles. In 2000, the population was 3,145 and the population density was 10,145 people per square mile. By 2010, the population was 2,128 and the population density was 6,300 people per square mile. Then, in 2014 the population was 2,874 and the population density was 8,747 people per square mile. The decline in population was likely due to the aftereffects of Hurricane Katrina, and the rise is a clear sign of recovery. In 2013, the median household income was $41,464 and the median rent was $734. Average household size is approximately 1.7 people. Public education is provided by the schools of the New Orleans Public School System. Marigny is home to the New Orleans Center for the Creative Arts and local architecture, features influences from the Creole, Spanish, French, and the Caribbean. This gives the neighborhood a real global feel. Homes for sale come in a variety of sizes and styles as varied as the neighborhoods history. Other real estate options include, but are not limited to apartments for rent and condominiums for lease nestled in wonderful historic structures. To find the home of your dreams in this beautiful neighborhood, call local real estate agent Mary Danna today at 504-517-6533 today. Don't wait to find your dream home.